Video marketing continues to rise as one of the most popular and effective forms of marketing. While relatively new to many businesses still in the digital marketing world, it tends to outperform many traditionally-used marketing methods. 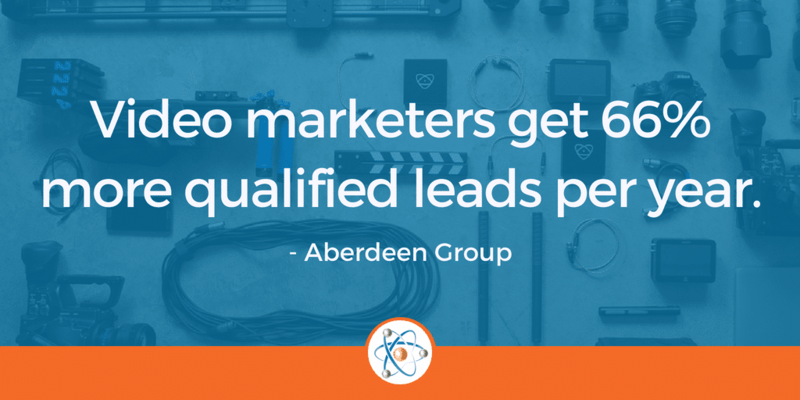 In fact, according to the Aberdeen Group, video marketers get 66% more qualified leads per year and achieve a 54% increase in brand awareness through the use of video marketing. These are some incredible results. As the Head of Digital Operations here at Atomic Revenue, I always come back to these seven main reasons why video is worth investing in. 1. Video creates trust and humanizes your brand. Oftentimes we don’t realize how our brand can fall into the trap of coming across as “salesy” or robotic on various marketing channels. The video is a great tool to communicate one clear message to your audience in a way that establishes trust. Trust is something that is very, very difficult to come by, but the video is there to do the hard work for you. Whether you are in the B2B space like us, or the B2C space, ultimately we all do business with people. Video allows us to establish a bond with people in a faster way than traditional marketing methods. 2. A video is an easy way to showcase 3rd-party testimonials. While written testimonials are great to display on your website or blog (gotta love that SEO value! ), a video does a great job bringing advocates of your brand to life. If the testimony comes from someone who is a fair representation of your audience, the more customers will relate and ultimately become brand advocates themselves. 3. 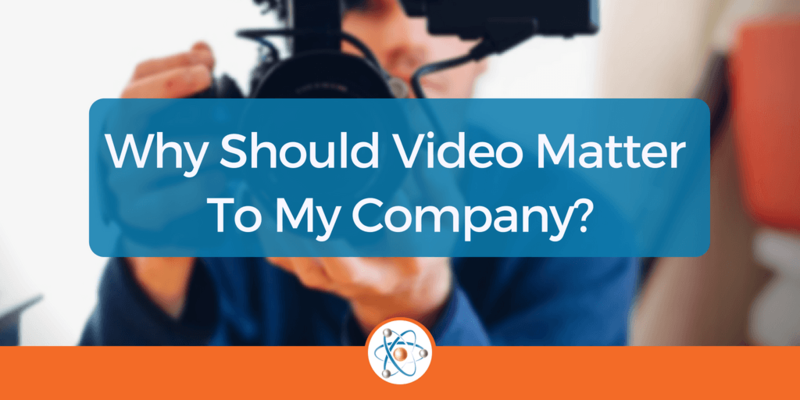 Video can save your team valuable time. Video allows team members to share what your company is all about quickly and efficiently. With video, team members are able to share directly with prospects, partners, and clients. This also prevents accidental miscommunication of your brand that could be a reason for lost prospects. 4. A video is visually dynamic and engaging. There’s no getting around it – the world has gone digital. The more visually appealing and creative your content is the more your audience will want to engage with your brand. A video is a way to adhere to the goals of your organization for revenue generating activities while also appeasing the brand managers of the world. Think about how you scroll through Facebook now. What makes you stop more than a video? I’m willing to bet not much. As soon as our eyes spot movement on Facebook or is caught out of the corner of our eye in the rest of the world, we look. We stop, we check it out. 5. Creating a video is a one-time investment. 6. Videos have an unchangeable message. Remember how we talked about how videos save your team time? Videos are able to do this also because the message is unchangeable. No member of your team can decide to start editing your video, cropping messages, adding messages, etc with any amount of ease. When you think about powerpoint or PDF sales presentations, these can be edited constantly by various team members with easy access to slides. One of the many upsides of a video is that it’s static and unchangeable on a whim. This allows the company to determine the right message directed at the right audience, and no alterations so that it remains consistent. 7. Video aligns marketing and sales teams. Last, but certainly, not least, a video does a fantastic job in aligning your marketing and sales teams. At Atomic Revenue, this is what we are all about. Aligning your teams so that they are sharing the same message, working towards the same ultimate goals, and supporting each other. As the video is unchangeable, it ensures that the marketing team is sharing the same message to prospects that sales is sharing to the leads that make an inquiry to learn more. We want marketing to be sending out the right message and sales to be validating that message and customer success teams to be delivering on the promises. Video ensures everyone is working together – same message, same services, same promises. While we understand video marketing may be hard to buy into at first, when done correctly the pros far outweigh the cons. If you have more questions on video marketing or would like suggestions on great videographers, don’t hesitate to reach out to me directly.